Garments, textiles market is a huge market with clear industrial chain division and globalized layout. The garment brand companies build their sales network and Sub-Contract-factories around the world. Every day, many containers loaded with fabric, accessories, garments are shipped from and to every corner of the earth. The climatic differences of different countries, the changes in temperature and humidity, often lead to the condensation inside the container, which is called “container rain”. Damp problem, even mould damage happens, causing serious economic losses. How to solve the damp problem and mould damage during storage and shipment, challenges the garment companies and manufacturers. 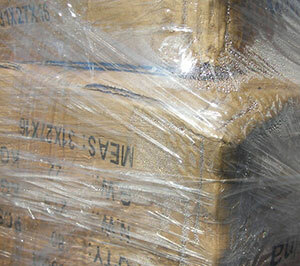 Moisture-proof, the ignored quality management in package and container transportation. Most branded garment companies and factories pay much attention to quality control. They have built a complete set of INDOOR quality management system, covering raw material purchase, in process quality control in production, inspection before goods leaving factory, However, the OUTDOOR quality management is often ignored. Actually, for garment or textile, after carton packaging and container loading, the transportation may lasts 2 months, over thousands of kilometers, via land and sea, until to the destination. The trip goes through different geographic location, different climates. The alternation of day and night brings strong temperature and humidity changes. 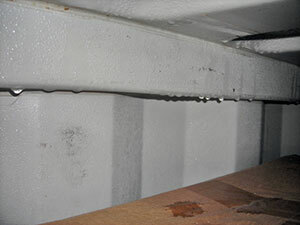 As a result, the goods gets affected by mould, and related accessories become rusty. Quality starts perfect when being shipped, arrives in horrible conditions, which makes it impossible to sell. DriFashion, Terminator of humidity damage, absorbs up moisture, creates dry environment in package and container, keeps your products fresh and new! Now, you only need to control quality INDOOR. Here we are, control the quality OUTDOOR for you! 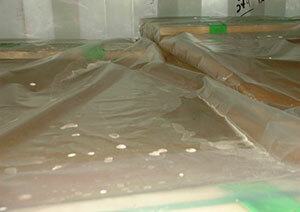 use DF desiccants in packaging cartons and containers to prevent mould problem in the following season. When the environment is in a hot and wet climate(temperature over 28℃, relative humidity over 70%), the above materials and products are at high risk of getting mould. Real leather/suede, wood and straw are considered as risky material all year. Garment market has strong seasonal change. When a new season comes, or new fashions get into the market, or the sales stores give replenishment notice, the Sub-contract factories of garments keep their production running day and night, in order to meet the urgent delivery requirement from the international brand companies. Quite often, before the moisture on the clothing, which was sprayed by steam irons, getting yet fully dry, the clothing would be put into plastic bags and packaged into cartons or boxes in a hurry. The residual moisture is one of the reasons of clothing mould problem. ○Use 2or 5 grams of DF desiccant. Assortments with pre-glued banderol, poly bag with holes along sides or net bag. 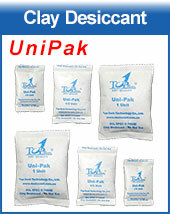 ○50 gram of DF desiccant placed on top of the products. 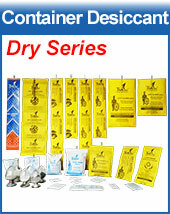 ○25 gram of DF desiccant in each compartment if 1 carton divider is used. ○2 gram of DF desiccant in each shoe box.